When Jesus left this earth, he left us with a great commission – to go and make disciples of all nations. 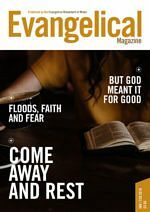 The Church’s commitment to that commission has waxed and waned over the centuries, but as you would expect, God is keeping his promise to build his church, mostly by working in and through ordinary believers all around the world. This great commission is the great topic of this issue. 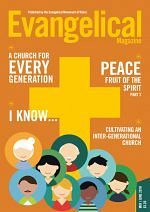 We’re focusing not on worldwide missionary endeavour, but on everyday evangelism for everyday Christians. 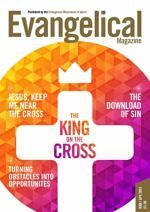 We begin with a refreshingly simple article from Glen Scrivener that helps us with something we often find most difficult of all – how do I talk about Jesus in a natural, not preachy way? He suggests three simple and very natural questions, which I’m finding tremendously helpful. 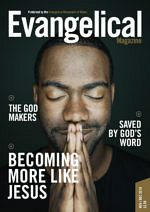 Fellow-evangelist Roger Carswell encourages us to be bold and prayerful with a reflection on Acts 4, and other passages in the Bible. After all, if our heart and spirit are not towards the Lord, then evangelism will never be our priority. But how can we stir that up? How can we receive the power of the Holy Spirit? 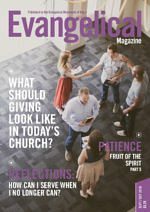 If that’s your question, let me encourage you to read Mike Mellor’s article: Church aflame! which wonderfully captures the need for both evangelism and revival. Personal evangelism is vital and necessary, but it’s wonderful to be part of a church and know that we are not on our own. 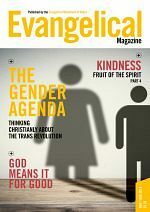 Bernard Lewis and Owen Brown both help us think more about evangelism and encouraging evangelism in our churches. And that’s not even everything in this packed issue. Elsewhere, we look at subjects as diverse as welcoming children in worship to thinking about the church’s response to domestic abuse. But before you go any further, why not put down this magazine for a moment, and ask the Lord to speak to you through the articles inside? We need his help if we’re to practice what we preach. How can your church best support Christian Unions?